The Nordmann fir is indigenous to the mountains south and east of the Black Sea, Turkey, Georgia, Russian Caucasus, north Armenia and northwest Azerbaijan. 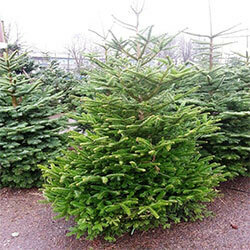 This type of fir is known for their neat shape and color and is becoming an very popular tree in Ireland. 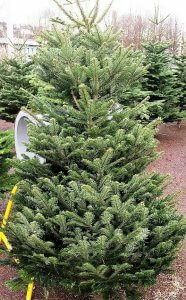 This type of fir is the most popular Christmas tree in European countries such as France and Germany. Also a very good seller across the UK. 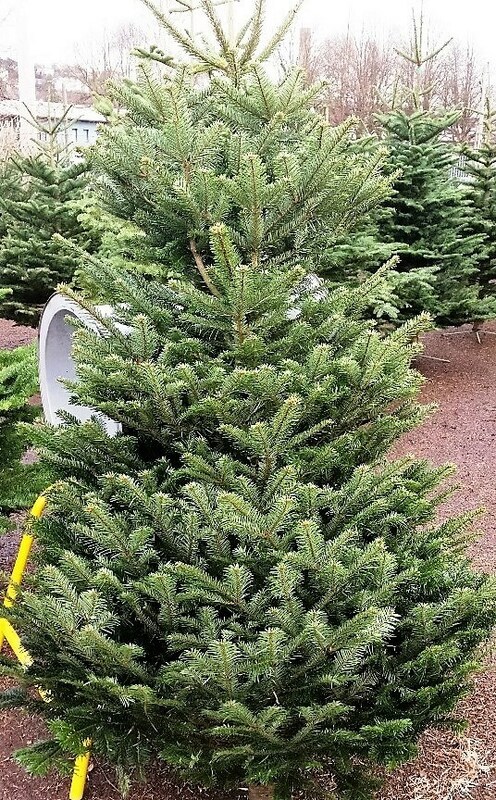 This type of tree usually lighter than most species for handling and making it easier to transport. The branches are normally upright, showing a full symmetrical shape. You can see pictures below of examples of what we stock every year.